We are delighted to offer other businesses a bespoke service for their retail, in-house and B2B card needs. Whether you need cards to sell alongside your products, to give to employees on their Birthdays or to say Thank You or Merry Christmas to your clients, what better way to show your appreciation than by planting a tree for the recipient? 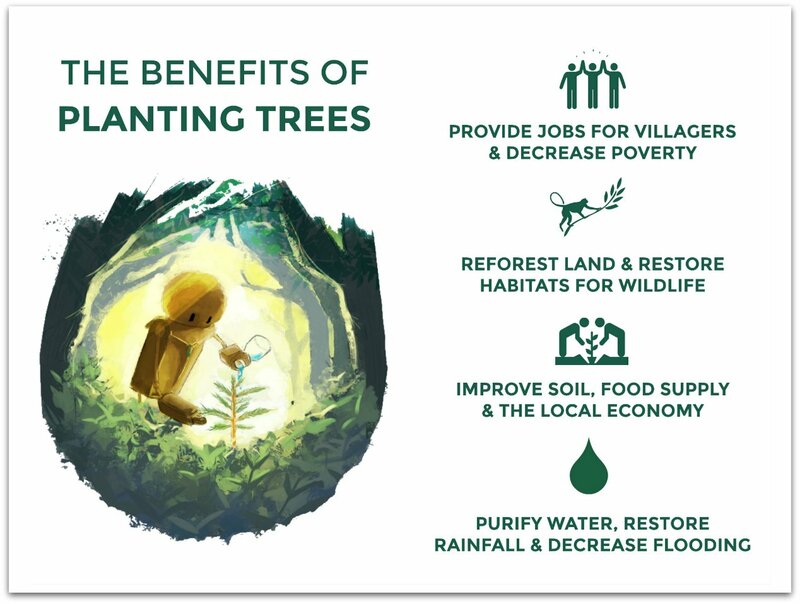 1 Tree Cards are the perfect option for businesses looking to be more socially responsible and up their eco game! Our cards, envelopes and seed tokens are 100% recycled and our inks are vegetable based. 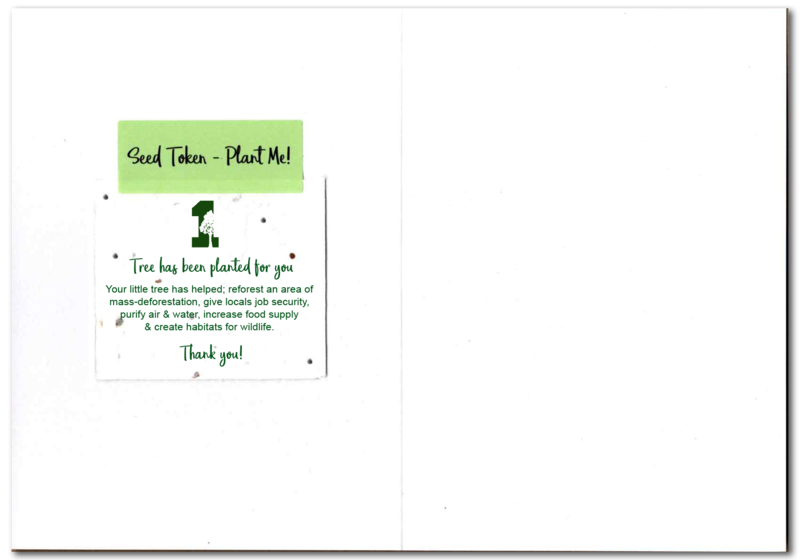 Our standard cards come with a seed token to let the reciever know that a tree has been planted for them. These can grow into flowers specifically chosen to help feed declining bee populations. For those who would like our cards minus the seed tokens, we offer an alternative stamped card option. 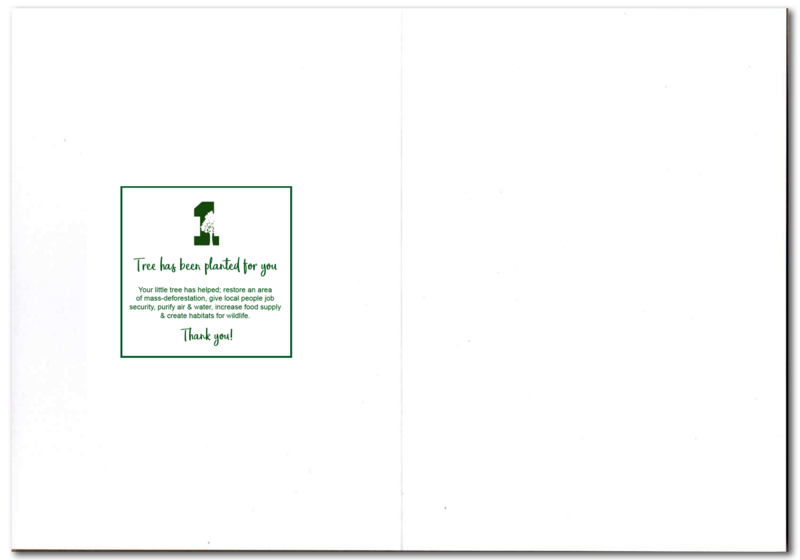 These cards include their tree planting information stamped onto the inside of each card.